I’m Steve Gustafson and thanks for stopping by. Don’t forget to check out 411mania’s Comic Book Review Roundtable, every Thursday! Read up on the best reviews and let us know what you’re reading as well. Click to read the latest Comic Book Review Roundtable! Martian Manhunter #1, The Walking Dead #186, and more! 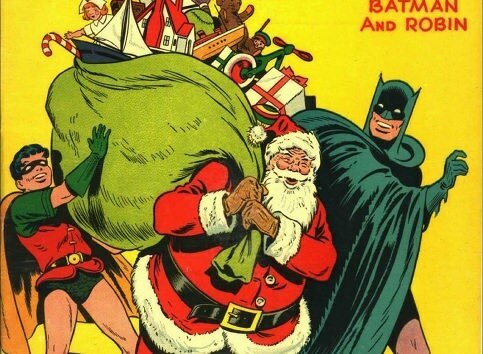 Borealis: “There were a couple of Superman stories that were awesome Christmas stories. The first was called, I think, ‘The Mailbag,’ and it’s about him answering his mail once a year, I think at Christmas. Jeez, it’s been a long time since I read it. 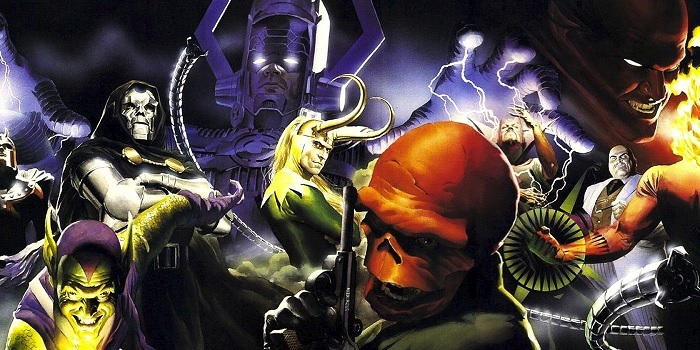 Best Comic Book Villains of All Time! With us being in the midst of the holiday season, I’ve enjoyed quite a number of movies with Ebenezer Scrooge, Mr. Potter, and the Grinch. All the seasons offerings got me thinking about classic comic book villains and which would stand supreme over all. I’ve long made the point of how important a villain is when it comes to the heroes stature and popularity. A great villain sets the bar for the hero to rise to and connect with the audience. On the flip side of the coin, forgettable villains bring the hero down and their books are usually short lived. The question you have to ask yourself is, “What makes the perfect supervillain?” Their evil deeds? How about their motive? Could it be an origin that’s tied to their arch nemesis? Does their costume play into the equation? Does a non-powered baddie rank lower than an all-powerful overlord? Do they strike feat in readers or do we secretly wish they would finally outsmart the hero? I have a pretty good idea of who this will come down to. No names but lists like these often turns into a popularity contest. Go into it with an open mind and see if that changes anything. 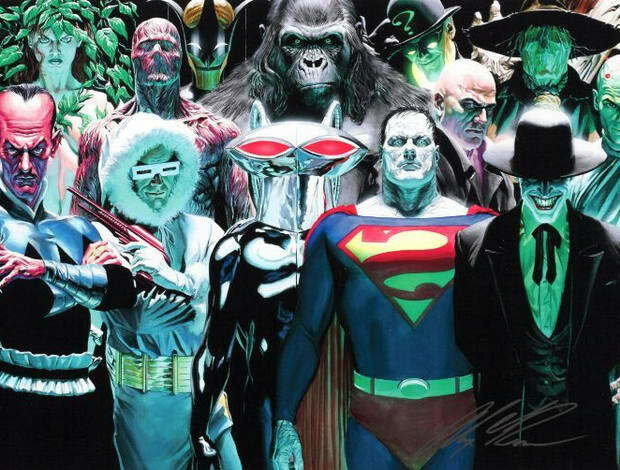 I’m listing the more well known and expected answers but fill free to add your pick below, along with why you think they are deserving of the title of Greatest Comic Book Villains of All Time! Let’s start with Apocalypse. En Sabah Nur is an immortal mutant and has battled the X-Men over the years, making his first appearance in X-Factor back in 1986. How is he on the villain scale? Bob Harras did an interview and said this about Apocalypse: “He looked fantastic. Also, the name is dynamic. It tells you right off this character means trouble. And he came with a clear-cut agenda: ‘survival of the fittest.’ He didn’t care if you were a mutant—if you were weak, you would be destroyed. He was merciless, but his philosophy was easy to grasp and it fit in with the harder edge of evolution which is part and parcel of the mutant story. Isn’t that what humans fear about mutants? That they are the next step? Now, we had given mutants something new to fear: a character who would judge them on their genetic worthiness. […] To his own mind he wasn’t evil (despite his leadership of the Alliance of Evil, which I think we dropped pretty soon after Apocalypse’s introduction); he believed he was doing the right thing. He was ensuring evolution. To me, he was the perfect next step in the mutant story.” Works for me. Speaking of mutant, you can’t have a villain list without Magneto, can you? I went back and forth on his inclusion, as he’s mostly portrayed as an anti-hero. Early Magneto was most definitely a bad guy, with noble intentions, and over the years has been moved closer to the middle. I’ll leave it to you to decide if he deserves to be mentioned with others on this list. Is his desire for mutants to dominate the human race, as he calls humans an outdated species, evil? In a 2008 interview, Stan Lee said he “did not think of Magneto as a bad guy. He just wanted to strike back at the people who were so bigoted and racist… he was trying to defend the mutants, and because society was not treating them fairly he was going to teach society a lesson. He was a danger of course… but I never thought of him as a villain.” Nuff said. I’m very interested in how his inclusion in the Horsemen of Salvation turns out. When it comes to the Red Skull, there’s no question over his evil intentions. A Nazi agent who first appeared in Captain America Comics #7 back in 1941, he still casts a large shadow when it comes to bad deeds. Pick up Captain America: Red Skull – Incarnate for a twisted story about “liberty’s greatest enemy”. The plot is as follows: As Berlin descends into chaos and ruin, sinister forces are on the rise…and the men who will form the Nazi Party ascent to power. Against this tragic backdrop of history, a boy comes of age: Johann Schmidt. Orphan, thug, urchin–Johann has nothing–and how far he would go for power will change the world. The list of evil acts committed by the Red Skull could take hours to read but he’s one baddie you shouldn’t overlook. It would be hard to overlook Ultron, who has really come into his own over the years. Ultron is one of the most deadliest foes of the Avengers and has a quasi-familial relationship with several of their members, thanks to his creator Hank Pym. At least until they retcon that to fit the cinematic Marvel Universe. He’s evolved over the years and really came into his own in the 2000s. His status of major villain was secured with the massive success of Avengers: Age of Ultron. Still waiting on a proper big screen appearance is Doctor Doom but that doesn’t take away from the evil he’s done on the comic book page. The son of Romani witch Cynthia Von Doom, Doctor Doom first appeared in The Fantastic Four #5 in 1962. He’s been a constant source of trouble of the Fantastic Four and is leader of the nation of Latveria. A genius inventor and a sorcerer, Doctor Doom’s quest for ultimate power has been present from the beginning. You can pick up ‘Secret Wars’ to witness what God Emperor Doom was up to and Invincible Iron Man to see another angle to this complex character. The quest for power runs strong in Lex Luthor as well. The archenemy of Superman, Luthor was created by Jerry Siegel and Joe Shuster, back in 1940. Considered one of the most intelligent people in the world, Lex is a power-hungry business magnate, gifted scientist and inventor. What makes his standout is his lack of superpowers or a dual identity, which hasn’t stopped him from battling the best and brightest in the DC Universe. Ruthless and efficient, he’s had his hand in just about every crisis, being a member of the Injustice Gang, the Injustice League, the Secret Six, the Secret Society of Super-Villains and Project 7734. Sinestro is a former Green Lantern who was dishonorably discharged for abusing his power, although he’s shown shades of being anti-heroic as well. In fact, his desire for order did him in as he became more and more fixated upon not simply protecting his sector, but on preserving order in the society of his home planet no matter the cost. Sinestro founded the Sinestro Corps, offering yellow power rings to the most feared and savage warriors of the universe, something few others on the list can lay claim to. When it comes to Darkseid, he has few peers. Darkseid is one of the most powerful beings in the DC universe, ruler of the planet Apokolips, and his ultimate goal is to conquer the Universe. Pretty straightforward. According to writer Mark Evanier, Jack Kirby modeled Darkseid’s face on actor Jack Palance. He also modeled Darkseid on Adolf Hitler and the world of Apokolips on Nazi Germany, making Darkseid a megalomaniac and warmonger who, in fascist style, sees every citizen as an extension of the state and himself. His society is highly militant, with children being indoctrinated from a young age to be warlike and utterly loyal to him. One of my favorite stories of all time is The Great Darkness Saga, where he comes into conflict with the Legion of Super-Heroes. In that storyline, Darkseid displayed a range of awesome godlike powers, such as transposing the positions of two planets in different solar systems, taking mental control of the entire population of a planet, instantly absorbing all the information from another being’s mind, manifesting the worst fears of other beings as realities, among others. I’ll be interested in seeing how he’s portrayed on the big screen. We already know what Thanos is like on screen. We owe Darkseid thanks for Thanos as creator Jim Starlin has admitted he was influenced by Jack Kirby’s Darkseid: “Kirby had done the New Gods, which I thought was terrific. He was over at DC at the time. I came up with some things that were inspired by that. You’d think that Thanos was inspired by Darkseid, but that was not the case when I showed up. In my first Thanos drawings, if he looked like anybody, it was Metron. I had all these different gods and things I wanted to do, which became Thanos and the Titans. Roy took one look at the guy in the Metron-like chair and said: “Beef him up! If you’re going to steal one of the New Gods, at least rip off Darkseid, the really good one!” Thanos has become his own “man” when it comes to being a villain, thanks to the numerous Infinity storylines. Has it been enough to get from out of Darkseid’s shadow? Bane, Two Face, Mr. Freeze and anyone else from Batman’s rogue gallery deserves consideration. Batman villains could fill their own list out but when it comes to who stands over them all, you have to say the Joker. The Joker first appeared in Batman #1 in 1940 and has terrorized the DC Universe with no mercy. Not bad for a character that was created to be killed off during his initial appearance and spared by editorial intervention. Not bad for the Joker, at least. In his early appearances, the Joker is portrayed as a criminal mastermind, becoming the psychopath with a sadistic sense of humor in the early 70s. You can’t point to one storyline to show off his madness, because he’s had so many. The murder of Jason Todd, the paralysis of Barbara Gordon, tormenting Commissioner Gordon, his numerous physical and mental fights with Batman. He’s the antithesis Batman in personality and appearance and considered by many to be his perfect adversary. The Green Goblin deserves mention, and I’m talking about Norman Osborn. Comics journalist and historian Mike Conroy writes of the character: “Of all the costumed villains who’ve plagued Spider-Man over the years, the most flat-out unhinged and terrifying of them all is the Green Goblin.” According to Steve Ditko: “Stan (Lee)’s synopsis for the Green Goblin had a movie crew, on location, finding an Egyptian-like sarcophagus. Inside was an ancient, mythological demon, the Green Goblin. He naturally came to life. On my own, I changed Stan’s mythological demon into a human villain.” The Goblin has gone on to be the main villain on a number of classic Spidey storylines and has made so much impact that he’s always in the mix when it comes to movies and cartoons. I have the Deathstroke, Brainiac, Kingpin, Negan, and Loki on my list as well but I don’t feel they have enough individually to top the ones listed above. What do you think?